Homes considered to be sustainable can sell for 10 per cent more and 13 days faster than non-sustainable properties, a federally-funded study has shown. 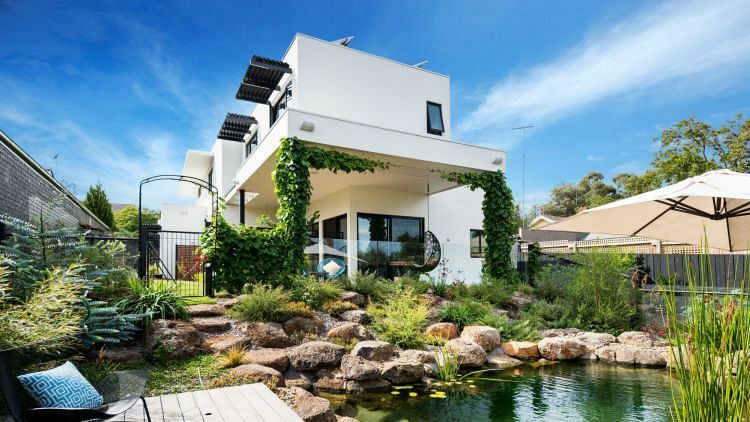 The research, undertaken by PRDNationwide and the Queensland University of Technology, set out to identify value-adding sustainable features for homes and the benefit to homeowners they bring. PRD’s national research manager Dr Asti Mardiasmo said that at its core, the report’s findings should give homeowners the confidence to add features to increase the sustainability of their homes. “If you are an owner, you know there will be a capital cost upfront – but our research has taken into account that capital cost while considering whether or not those houses will sell at a higher price,” she said. Dr Mardiasmo and her team of researchers compiled a list of features they said could help increase the sustainability of a home. “There a lot of things you can do with your house without shelling out big bucks for solar panels or wastewater systems,” she said. It can be as simple as using non-toxic materials or choosing an open floor plan with cross-ventilation, but Dr Mardiasmo said a full list can be found on the PRD website along with a tool to self-assess your home’s sustainability. “Once you’ve done the scorecard you get a percentage and it tells you the areas you can improve,” she said. The tool and report are free to use and access. “We actually want to really raise awareness of having sustainable properties,” said Dr Mardiasmo. She said the research was an important landmark in improving home sustainability, as few had managed to prove the market benefits before. Melbourne-based buyer’s agent and market analyst Secret Agent has also published research tackling similar issues. Its research found that in Melbourne’s inner-city markets, sustainability had become a big selling point. “As more suburbs are gentrifying, we’re seeing the effects spill over,” agent Ken Premtic said. In the outer suburbs, buyers were more commonly concerned with finding the cheapest home possible, rather than the most sustainable, he said. “Sustainability still does play an importance, but not to the same extent. Buyers place a lot more value on affordability,” he said. In Brisbane’s Paddington, Space Property’s Judi O’Dea said the opposite was true in her patch. Inner city Brisbane buyers were more concerned with having the latest mod-cons than sustainability features. “They won’t buy a house if it doesn’t have a pool or it isn’t heated so they can swim in it all year round,” she said. Solar and water tanks were falling out of favour with the top end of the market, mainly because of a lack of government incentive, Ms O’Dea said. However, she commended PRD for championing sustainability, and predicted a change in attitude from her buyers once solar battery technology became widespread.